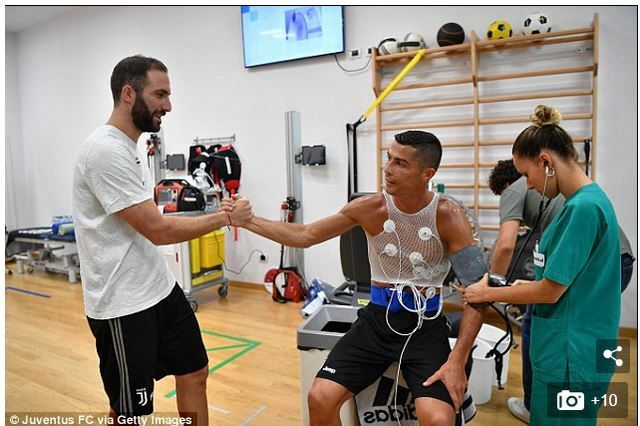 Cristiano Ronaldo finally met with some of his new team-mates at the club’s Turin training base on Monday. 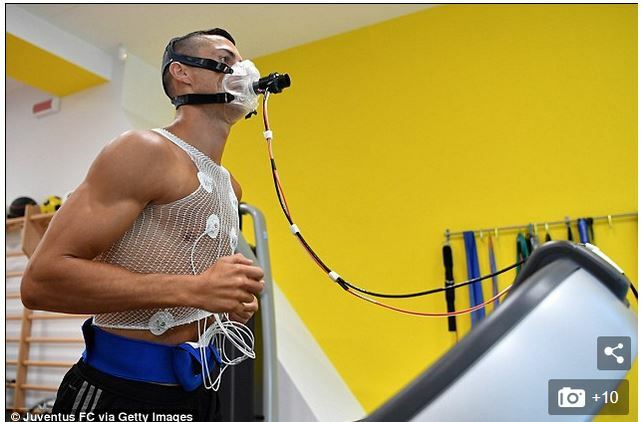 Ronaldo, who joined from Real Madrid in a deal worth £100million, was put through a number of tough physical tests. All of the tests were designed to test the 33-year-old’s fitness as he prepares for the new Serie A season. The former Real Madrid star touched down in Turin on Sunday night after being afforded an extended holiday following his campaign with Portugal at the World Cup. Some Juventus fans greeted him at the airport, filming him stepping off a private plane with his family and entourage. He is yet to meet the rest of his team-mates who are away with manager Massimiliano Allegri on the club’s pre-season training tour of the United States. He was, however, greeted by new team-mate and Juventus striker Gonzalo Higuain. Higuain was a team-mate of Ronaldo’s at Real Madrid before he was sold to Napoli in 2013. Ronaldo also met Argentina international Paulo Dybala as he got used to his new surroundings in Turin. Juventus actually play his former club Real Madrid in the International Champions Cup on Saturday, but that will come too soon for the new signing.